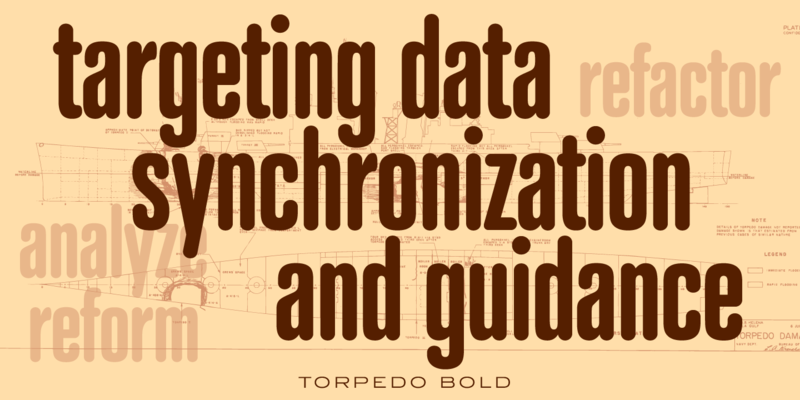 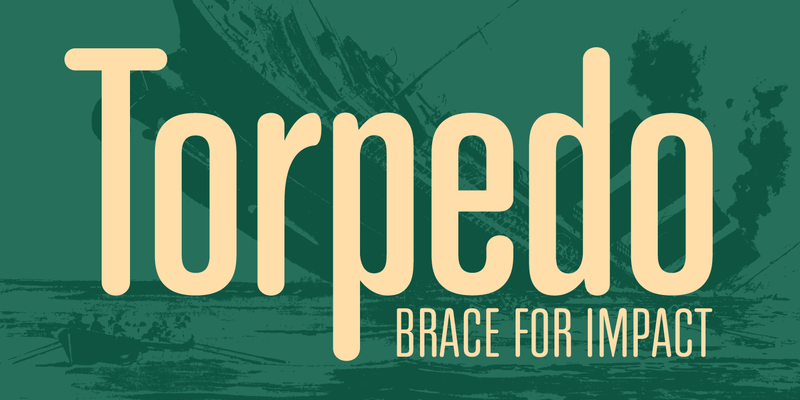 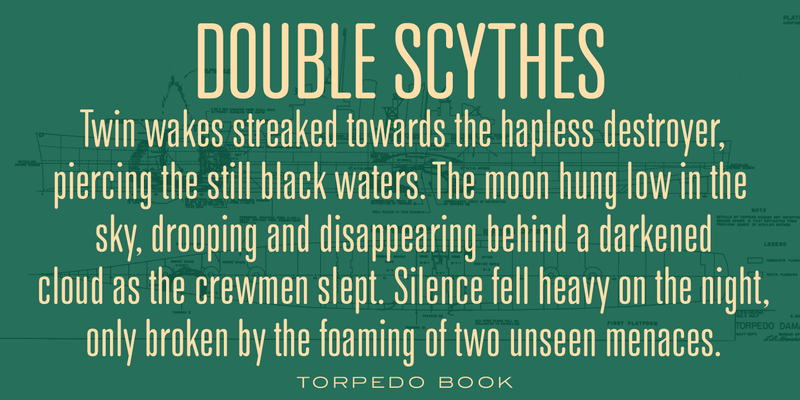 Torpedo is a five-weight rounded, compressed sans serif font family. It was designed by Steve Jackaman over a several-year period, and was released in 2017 alongside its sister typefaces Coliseum Pro and Clydesdale. 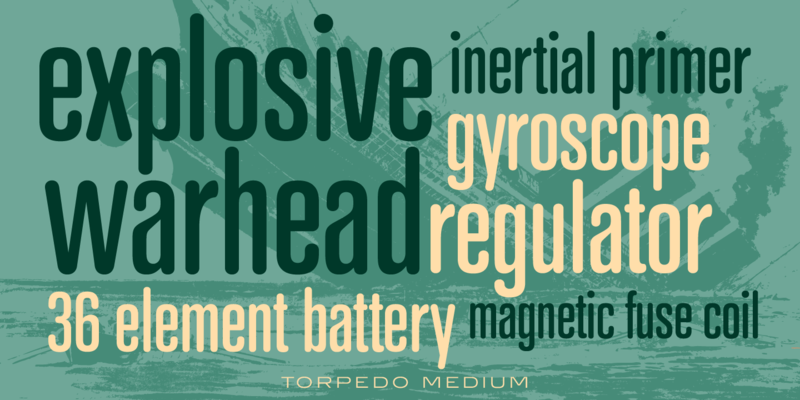 Torpedo, whose name was inspired by round torpedo warheads, is a visually sturdy font that maintains excellent legibility. 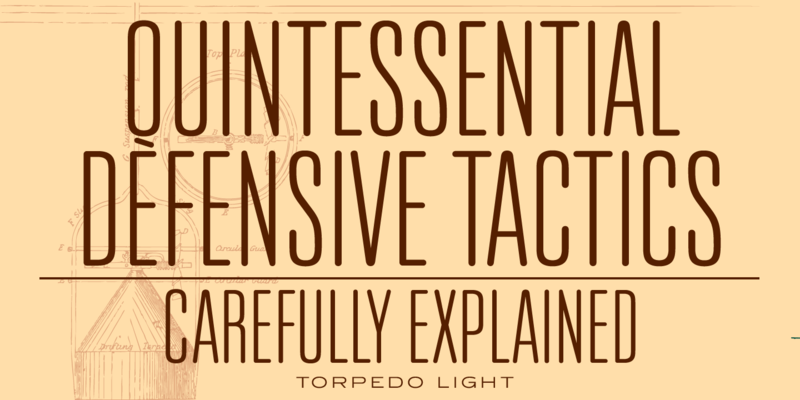 Torpedo is flexible in its applications, like its violent namesake; it is explosive at large sizes, and still works efficiently at low profiles. 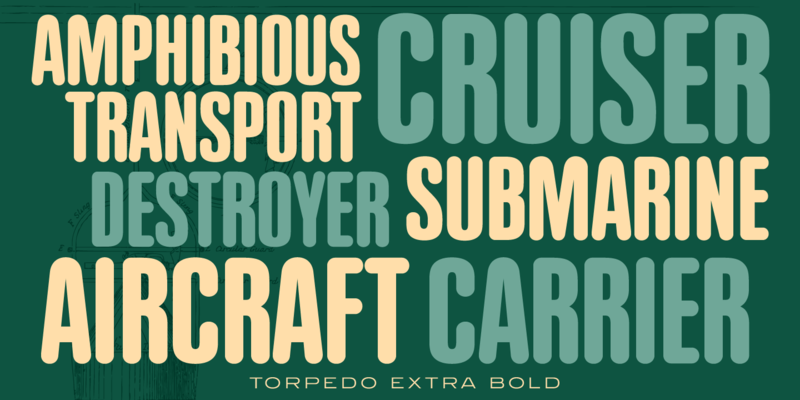 Torpedo is a trademark of International TypeFounders, Inc.